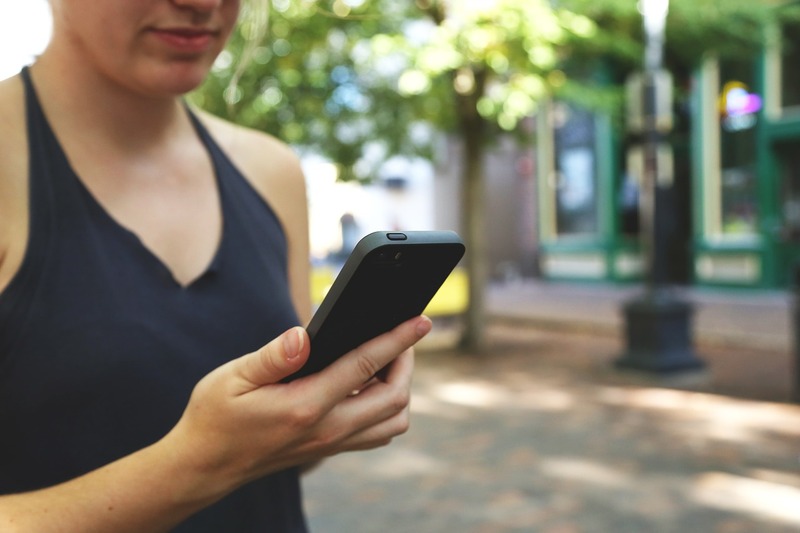 After the first report in January of the most searched phone numbers, tellows wants to show you some insights of the most searched phone numbers in March. 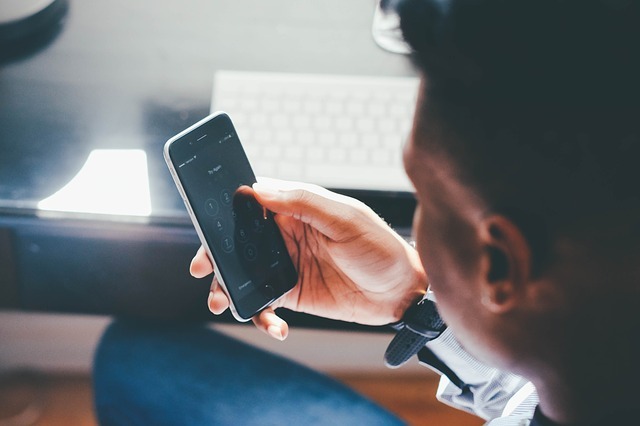 Recently we are alarmed by the soaring trend of spam calls in the US, especially the notorious robocalls! Therefore tellows is also preparing an article about it and it’s coming soon! So stay tuned! But now let us go through the details of the most searched numbers in March! The top spot on our list of the most searched numbers belongs to 18009452000. It has a tellows score of 7, which is an untrustworthy rating, and the search requests cumulatively numbered over 14k, there are also 11 reports by our users that the call is from a company called Chase Bank. Some of the users reported that the scammers disguised themselves as Chase Bank, asked if the receivers want to lower their interest rate and tried to attain credit card information. The second place goes to this number +1400491098. Our tellows community reported that the number belongs to a company called Airtel, with a tellows score 7 and over 16k search requests . Most of the users reported that they received numerous calls per day. The third one is 2105206400. Our users suggested that it is also a company claimed to be Chase Bank with over 42k search requests on our site. 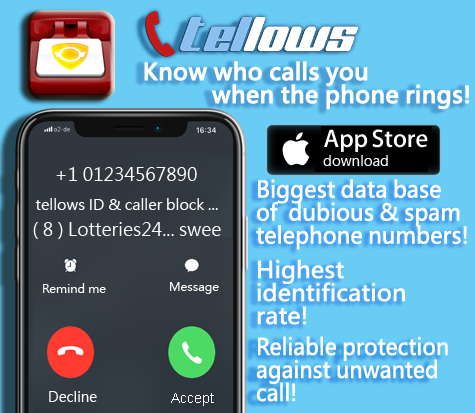 It has a tellows score 7 and most of our users reported that the caller tried to get their personal information including bank details or claiming that their payment is due and therefore their bank details have to be reviewed. This entry was posted in general, nuisance calls, the Most Wanted and tagged annoying calls, caller block, caller ID, cold calls, March, Most Wanted, nuisance calls, Scam, Spam Calls, telephone, telephone numbers, telephone scam, tellows, tellows monthly most searched, tellows US, tellows.com, top 3 on Tuesday April 2nd, 2019 by tellows.de Team. Today we want to tell you about the Wangiri scam. This fraud displays no sign of dying and it’s widespread in many countries like Italy, Indonesia and Spain. It is related to the missed calls we receive from foreign numbers. In fact, many scammers abroad use the Wangiri method to deceive us. What is it? Let’s have a look! This entry was posted in App, general, nuisance calls and tagged block calls, fraud, know who calls you, ping call, Scam, telephone fraud, wangiri on Thursday March 21st, 2019 by tellows.de Team. Hi there! The first month of January already passed and tellows hope you had a wonderful beginning of the year. 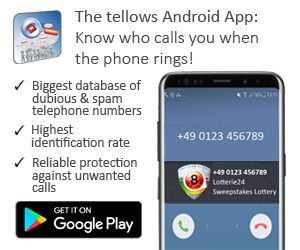 We thank you for choosing tellows as your resources of phone scam protection, as in January we received over 100K page views and we joyfully invite you to stick with us through 2019. This time we will go through the January top 3 searched numbers in the tellows U.S website, and also share some of its details for your information, such as the type of callers and the name of companies. The first mostly searched number is +1400491098. It has a tellows score of 6, which is a mildly trust worthy rating, yet the search request cumulatively numbered over 10k. The second frequently searched number is +442038076172. Our tellows community reported that the number belongs to a company called CFD Global, which its country code revealed it is a British phone number. With a tellows score 8 and also a nature to be a telemarketer. The third one is 8002927508. 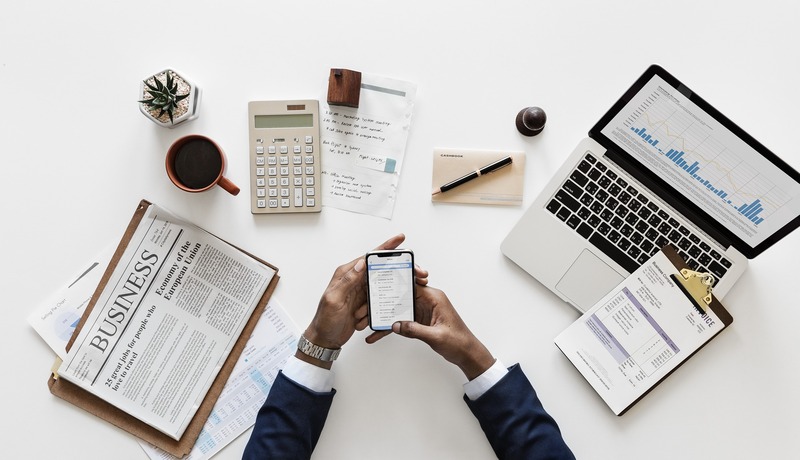 Our users suggested that it is a debt collection company named Synchrony Financial or CareCredit and its cumulatively search requests over 20k. It has a tellows score 6 and most of the users have opinion that once they paid the loan the call stopped. This entry was posted in general, the Most Wanted and tagged 2019, android app, annoying calls, block callers, block calls, debt collectors, Harassment calls, iPhone App, Jan 2019, most searched phone numbers, Most Wanted, nuisance calls, phone scam protection, Scam, telephone, telephone scam, telephone spam, tellows, tellows app, tellows score, tellows.com, top 3 on Tuesday February 12th, 2019 by tellows.de Team. Football season kicked off recently and the social media has been undeniably broad. Ahh yes, the World Cup has brought more than football to the forefront than economic, politcal and of great interest – social issues. But we must tell you there is something behind the scenes lurking. Scams with ‘World Cup’ related content are said to increase right through to the end of the season. MessageLabs Intelligence report 419 scams, including emails offering tickets to games, fake auction websites, fake accomodation providers, offers of free mobiles are all in the mix that we can expect to see to be on the rise in the next few weeks. And it comes to no surprise to us here at tellows. We have received a number of comments from people around the world stating that they have received an email claiming that they have indeed hit the al’mighty jackpot and won themselves tickets to see the game live in Brazil. It seems that this email will ask the recipient to phone back and potentially be charged premium rates or respond to their email which could in fact permit hackers access to your computer. Symantec Intelligence inform that contact such as an email is often just the beginning of an elaborate scam. I got something quite different. I got an email with this return SMS number attached for tickets to the World Cup Brasil. Quite different but more or less the same. Who do these fools take us for? What do we suggest to do if you receive suspicious contact? 1. Ignore any suggestion to respond with an SMS, phone call or email. You can verify the phone number by performing a tellows search and read what our users have to say about their experience. 2. If the email itself looks a suspicious with World Cup propaganda or merchandise related offers, do not proceed to click on any attachments or images. 3. our information is gathered by our users themselves. If you have come across something that seemed suspicious to you, do leave a comment. We urge members of the community to warn others of persons and their phone numbers that aim to financially and emotionally rob others. This entry was posted in general and tagged 419 scams, Fake World Cup tickets, FIFA, SMS, tellows.com, World Cup on Thursday June 26th, 2014 by joey. The FCC, the Federal Communications Commission are one of the go-to people if you wish to issue a complaint regarding nuisance phone callers. Their website will generally ask the all the appropriate questions in regards to your call. However, if you would like to use another body to lodge your complaint or if you’re complaining directly to the caller themselves (if you have got their contact information.) then in preparation, here we have below what you might want to jot down as the call is happening, or while the details are in your mind. Being a good and accurate historian is essential in building a case in any complaint situation. 4. Did the caller advertise goods or services? 5. Was previous consent given from persons in your household to call this phone number? 6. Have you made any previous inquiries or applications with the individual or company, such as requesting information from their website? This entry was posted in general, knowledge and tagged Complaints, How-to, Justice, tellows.com on Monday May 26th, 2014 by joey.